The Cloverfield Paradox is a 2018 American science fiction horror film directed by Julius Onah, written by Oren Uziel and Doug Jung, and produced by J. J. Abrams’s Bad Robot Productions. It is the third installment in the Cloverfield franchise, following Cloverfield (2008) and 10 Cloverfield Lane (2016). 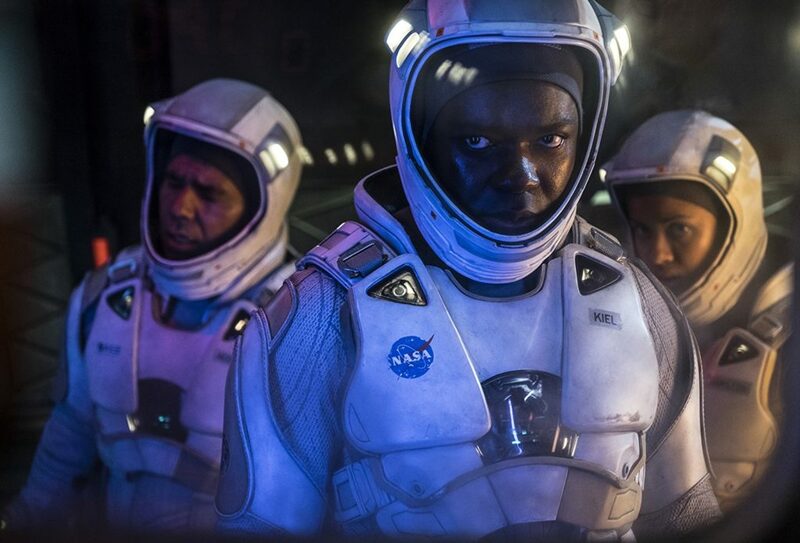 Purchase THE CLOVERFIELD PARADOX on Blu-ray February 5, 2019! THE CLOVERFIELD PARADOX is sci-fi film that follows an international group of astronauts that are living aboard a space station. The goal of this group is to solve Earth’s energy crisis. While trying to solve this crisis the group has a crisis of their own when they accidentally fly into an alternate dimension. The marketing for this film release was beyond creative and genius. This film was based off the script “GOD PARTICLE” but in the middle of production J.J. Abrams decided to link this film into the CLOVERFIELD universe. So after using the GOD PARTICLE screenplay and adding in new scene and effects so it was connected to films CLOVERFIELD and 10 CLOVERFIELD LANE this film ultimately became a prequel to those films. News surrounded the world stating that during the 2018 Super Bowl there would be a new trailer for the next CLOVERFIELD film as one of the commercials. 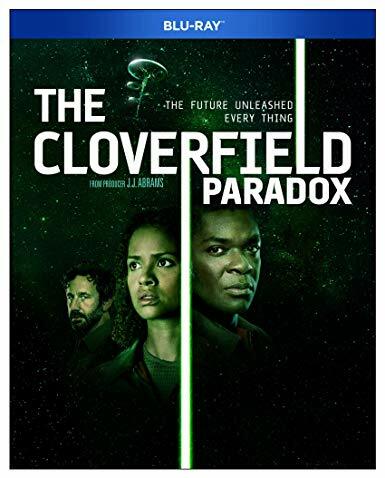 Eventually the commercial aired and to everyones surprise the news came that THE CLOVERFIELD PARADOX would debut on NETFLIX immediately after the Super Bowl. While the promotion was met with great praise along with the amazing performance from Mbatha-Raw the overall film was considered to be the weakest segment in this universe. Overall, I did enjoy this film. The acting didn’t have the star power like the other two did, the special affects were on point with most space films and the story ties into the universe well with how the monsters got onto Earth. It also helps and open the door for anymore CLOVERFIELD movies that could potentially come in the future. This universe has a very loyal fanbase so anything with the CLOVERFIELD name and story behind it should do well. I also feel like NETFLIX was the perfect platform for this release instead of going with the standard theatrical release. Nearly 785,000 people watched the film after the Super Bowl ended. By the end of the week 5 million viewers had watched the film. The video is a 1080p quality for the Blu-Ray release.The film has all the classic space movie visual elements you can expect and has the same vibe as the other CLOVERFIELD releases. Except for the shaky camera from the original CLOVERFIELD. 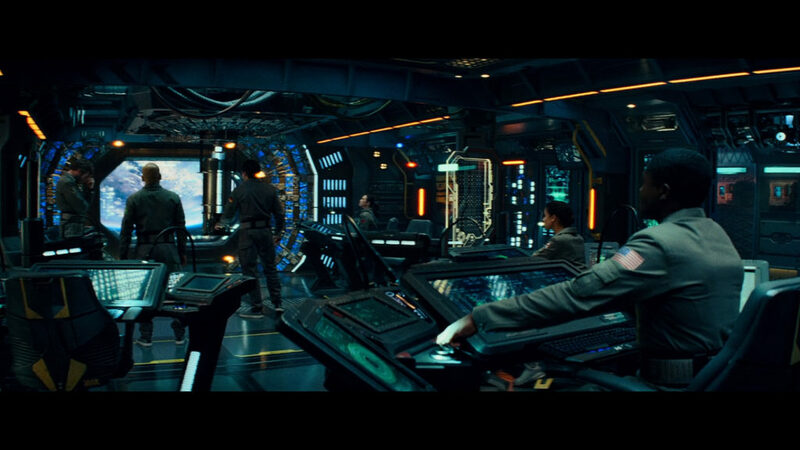 With J.J. Abrams being involved you can expect to see great visuals like in the rest of his films.The visual effects were provided by Atomic Fiction and Supervised by Ryan Tudhope, Russell Earl, Jason Snell, Stefano Trivelli, and Pauline Duvall with the help from Industrial Light & Magic and Base FX. The audio is a Dolby Atmos sound format for this release. This film had a great Atoms sound, which you are able to hear all the rumbling and chatter that most space films have. If you have a good quality surround sound you will be able to feel the intensity behind the explosions and rumbling of space ships happening. -A making-of documentary that delves into the inspiration for the story and how the film went from concept and design to completion. The discs also include interviews with the cast as they reflect on the experience of bringing the sci-fi thriller to life. This week's Blu-ray releases for February 5th, 2019.